Dress up your 'do! 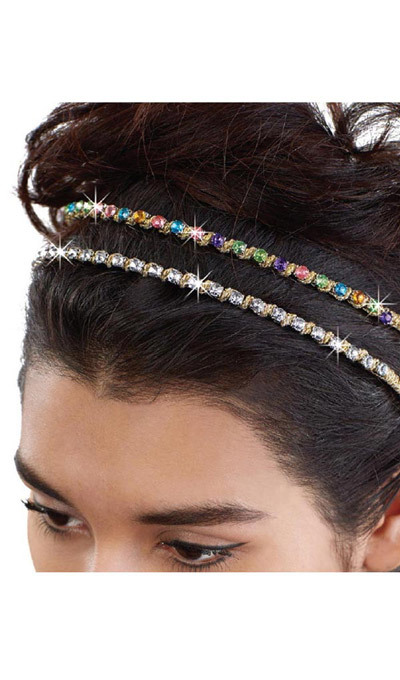 This delicate, sparkling Bling Headband accent adds the crowning touch to your look. Brilliant crystals line up on silver-tone metal wrapped in a glint of golden lurex cording. Imported. ¼"w.